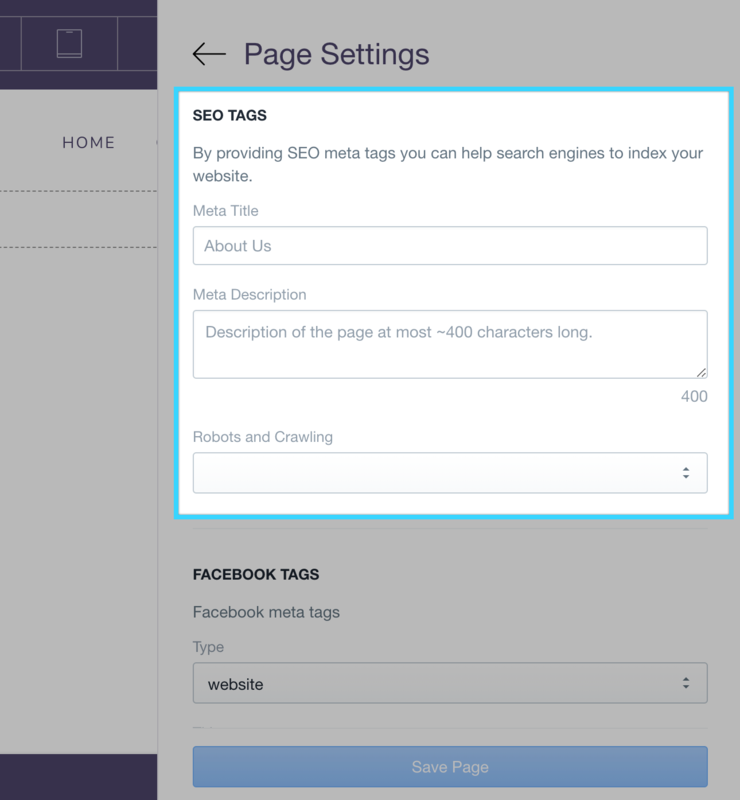 Learn how to use the Meta Title and Meta Description fields for your pages in Shogun, to help optimize for search (SEO). It's super easy to configure your meta fields within Shogun. 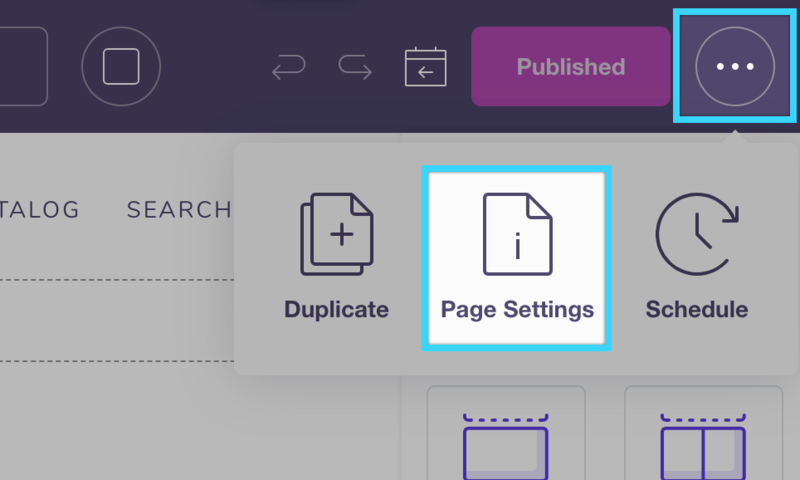 We even have a section for it in the Page Settings panel! You can set the title, description and settings for robots and crawling. First, click on the three-dot button in the upper-right corner of the editor and select the Page Settings option. Scroll down in the Page Settings panel until you reach the SEO Tags section. In this section, you can set the page's Meta Title and Meta Description.